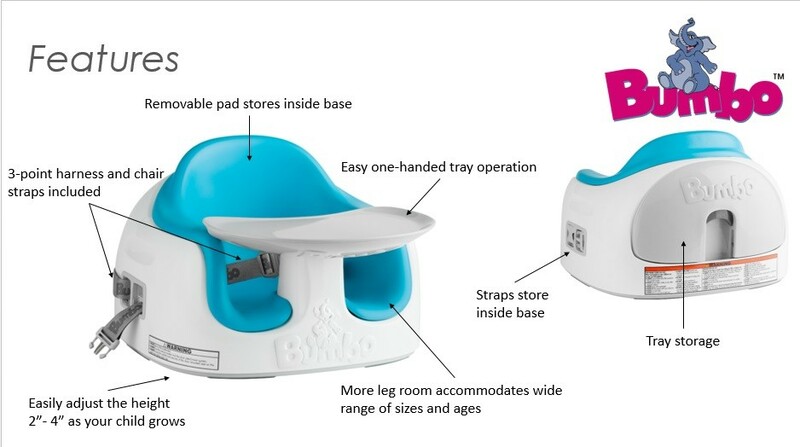 Tray operates with only one hand, allowing your other hand free to carry baby in and out of the Bumbo Multi Seat! No more hassling and fumbling to insert or remove the tray. Soft low dendity foam insert can be stored within the base of the seat, ensring that you will always have the full set when you need it again. Belts are also stowed away easily when not in use which assures safety baby.